Kir is an aperitif named for a man who liked to mix blackcurrant liqueur in a glass of white wine. Before World War II, Felix Kir was a canon in the French Catholic Church. He was, reportedly, fond of good food and drink. During the war, he was active in the French Resistance and in 1945 became mayor of Dijon. Somewhere along the way, the addition of Creme de Cassis to white wine was christened after him. He granted a beverage company the legal right to use his name to market their liquor. There are a number of variations on a basic Kir. 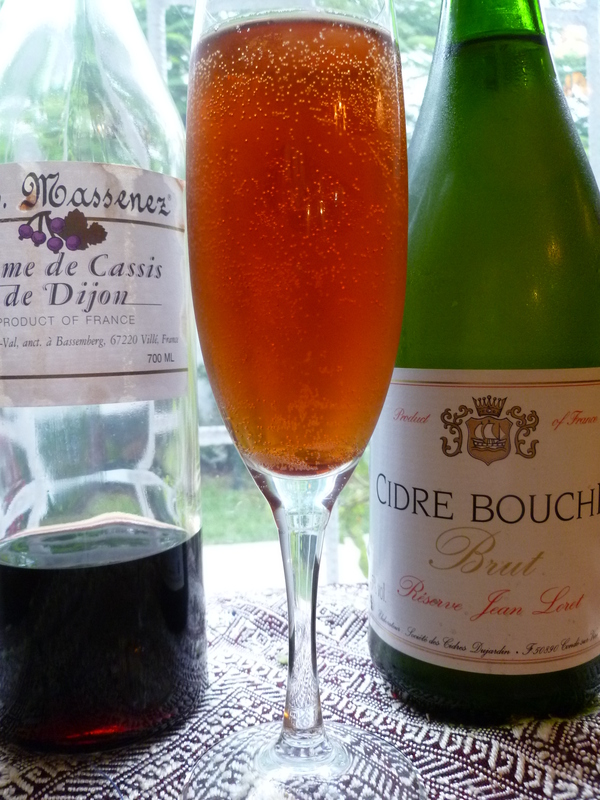 Kir Royale substitutes Champagne for white wine. (The diplomatickitchen’s versions of Kir and Kir Royal are here, at the end of the recipe for Individual Mushroom Souffles.) 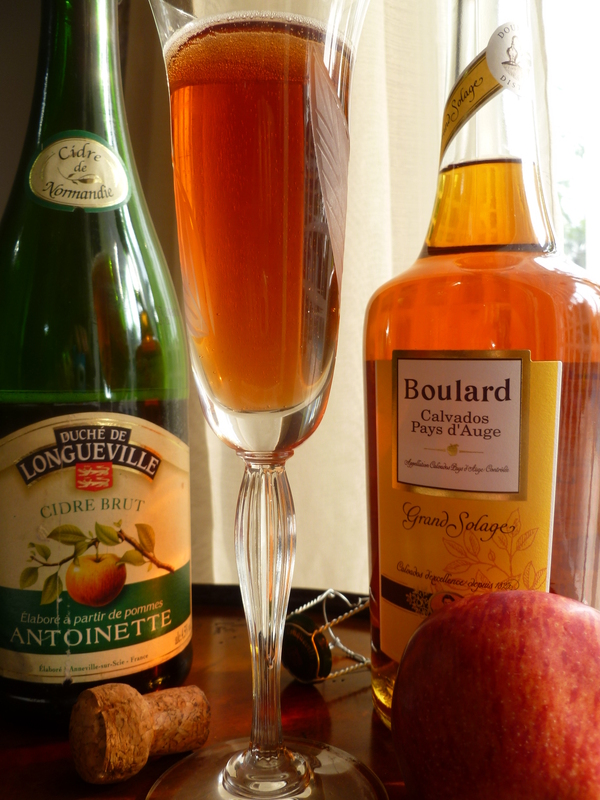 A Kir Breton–or Normande–replaces the wine with sparkling hard cider. 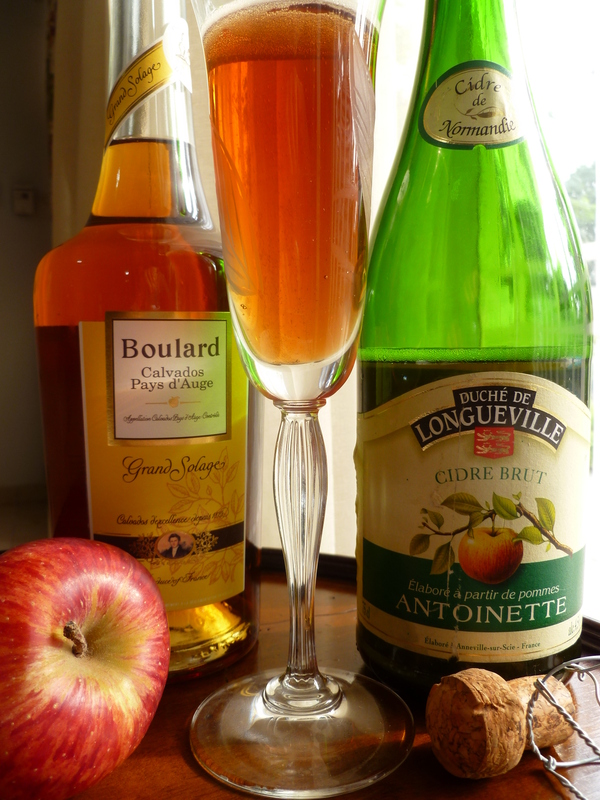 Whether the Kir is ‘Breton’ or ‘Normande’ depends on whether the cider comes from Brittany or Normandy. Both versions are bottled like Champagne and are sparkling pleasures–lovely to look at as well as to drink. Kir in any form is an aperitif whose ingredient proportions must vary according to individual taste. There are those who like a strong currant flavour…others, only a suggestion of it. 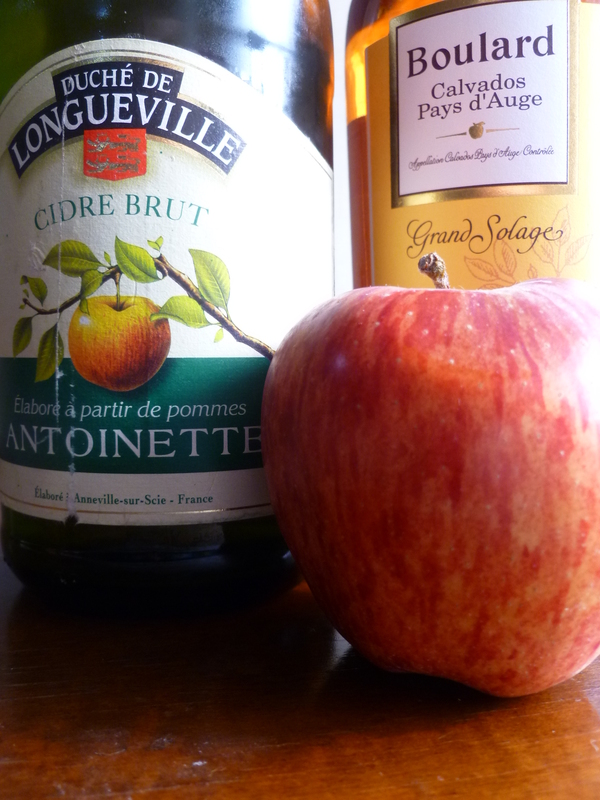 To a basic cider Kir, some also add Calvados (apple brandy) to accent the apple character. The diplomatickitchen’s version is a starting point for customizing your own form of Kir Breton or Normande. Note: A bottle of sparkling hard cider may be recorked and refrigerated and will still be drinkable for several days after it has been opened. If a portion of the bottle goes flat, it may be saved to use in a sauce or marinade for pork, which is…a future diplomatickitchen topic. 1. 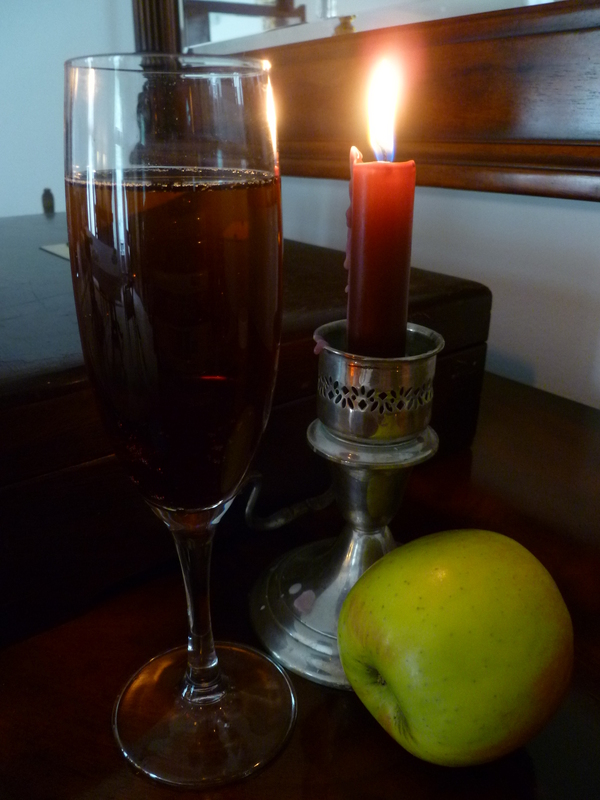 To the Champagne glass, add the Creme de Cassis…and the Calvados (or not). 2. Fill the glass with cider. A Note: Kir Breton ~ Kir Normande is a suggested Aperitif to begin the Lunch Menu: Lunch on a Winter’s Day. The drink is nice, too, to have before the fire or by candlelight.